We all get a little too cautious when it comes to making some serious decisions involving loans, credits, finances, and mortgages. One question is ” Should I get my mortgage through a Mortgage Broker or the Bank? ” An error in judgment can get you deep in trouble and the right one can make the entire process easier. So how do you decide which one is the smarter choice? Will the mortgage broker help you hunt for the most reasonable rates? Or will it be the bank that can use its far outreach to help you get the most trustworthy provider? Let’s list the most in-demand things people look for when in need of mortgage and who gets the most points in achieving that, the mortgage broker or bank? In a residential mortgage, a home buyer pledges his or her house to the lender. The lender has a claim on the house should the home buyer default on paying the mortgage. 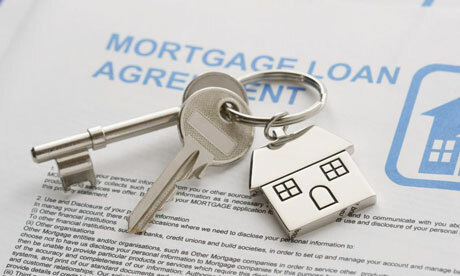 The period of a mortgage varies but usually, they span over a period of 25 years. What Makes For a Good Mortgage? Who wouldn’t want to get a better deal out of their mortgage? Banks all have their own rules, rates, and systems so you’d be lucky if you find one where they are offering what you need. Mortgage brokers, on the other hand, have a large network and they usually can scratch out a mortgage deal that is most satisfactory to the debtor. There is always some kind of consultation charges when it comes to dealing with different parties. However, some mortgage brokers like those of Team Jardine rarely charge any fee. Therefore consultation is absolutely free. When Looking for a mortgage, you probably already have an idea about your financial status and how much you are looking to spend. Make sure to go to a lender that is authorized. Going through an unlicensed and unauthorized party to get your mortgage would lead to getting yourself into trouble. Fortunately, both bank and mortgage brokers have to be licensed and authorized to access other lenders. So, it is always wise to check the authorization of mortgage brokers before asking them to find you a lender. Looking for banks when hunting for mortgage loan means going to a number of them to finally find one that is suitable to your needs–or maybe not even then. Mortgage brokers save you from all the legwork because they hunt for lenders as you sit comfortably in their office.